Out of all the mainstream fashion glossies, our forums have been the hardest on Glamour over the past year, thanks to a disastrous redesign and awful covers featuring Melissa McCarthy, Kate McKinnon and Tiffany Haddish (to name a few victims). 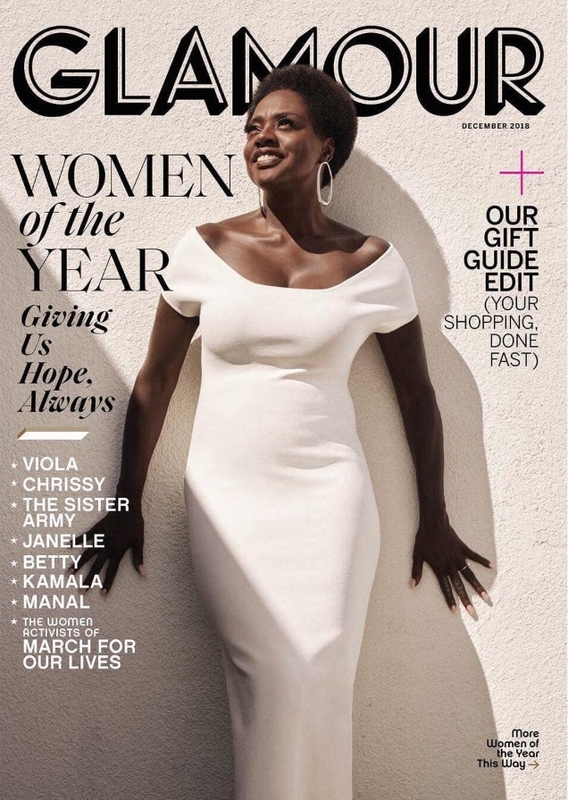 Editor-in-chief Samantha Barry closes out the year with a series of ‘Women of the Year‘ covers featuring Viola Davis, Janelle Monae, Chrissy Teigen and the ladies of the March for Our Lives movement for the recently unveiled December issue. Per usual with multi-covers, one was sure to stand out. “ANNA [Wintour] you could have had THAT COVER! Stunning Viola! Stunning!” applauded tFS forum member MON with a clear favorite. “Viola looks stunning! and yes, it should have been on Vogue,” agreed magsaddict. “Viola looking like a true queen she is. What a tremendous woman of beauty, wit and talent. That is truly a glamorous cover. I wish Vogue could have done that,” TaylorBinque agreed. “Janelle and Viola’s covers are beautiful!” championed jorgepalomo. Which cover will you be hunting down at the newsstand? Check out some previews of the issue and join the conversation here.